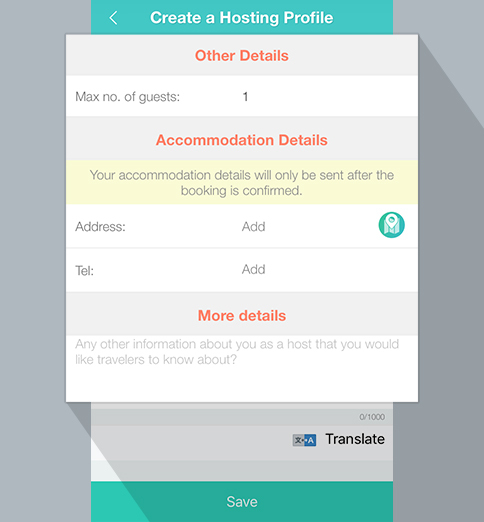 In the Add Hosting screen, choose your residence or a place which you can host travelers. 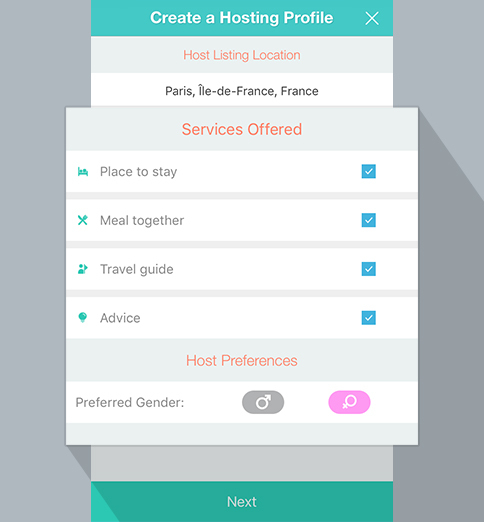 In the Add Hosting screen, select available services and gender which you want to host. 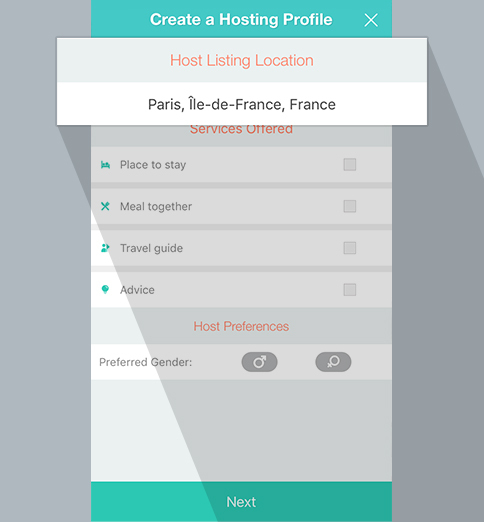 Next, fill in the hosting details and upload images of your place. 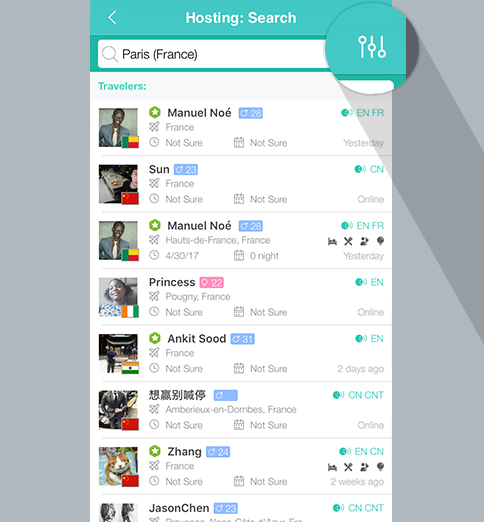 Finally, select maximum number of guests, your hosting address and contact number. Remember to leave a warm and useful message to travelers before you save. 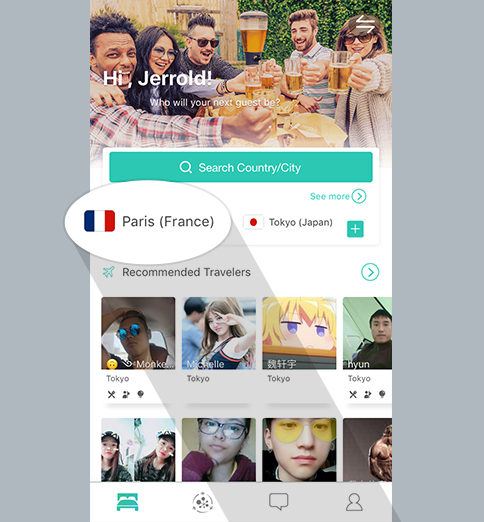 Once you have saved, Travelers can see your hosting details based on their destination and filter in their search screen. View Hosting Plan results using the one-click search function. After sending out a host plan successfully, available match results can be viewed in the Hosting screen. 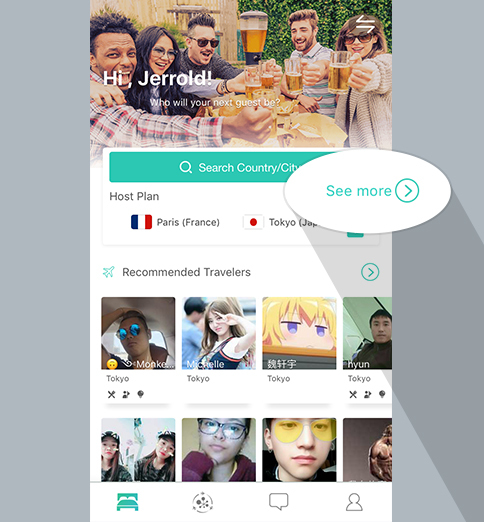 Tap directly on your host plan. See results matching your host plan (to narrow search results, use the filter function on the right). 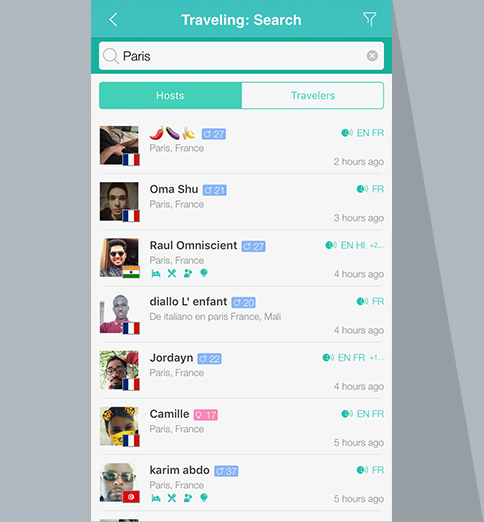 Tap on “see more” to see all your host plans. See results matching your hosting plan (to narrow search results, use the filter function on the right). Polite and honest communication is the first step in interpersonal relationship! 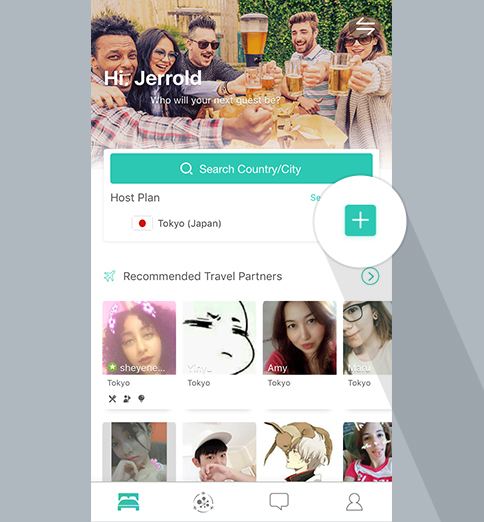 Leaving your message sincerely to travelers will let you find more suitable travelers. 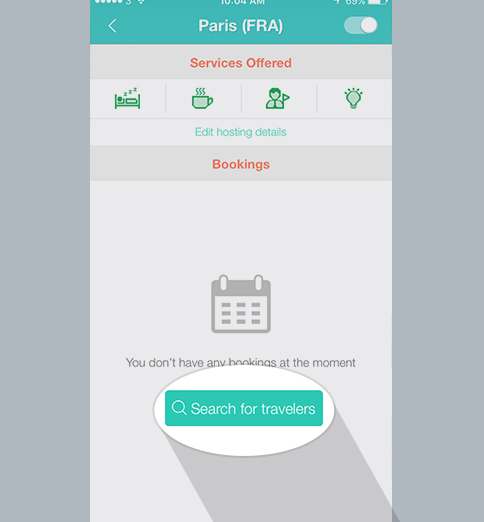 If you do not want to display your hosting plan, it can be closed in the Hosting screen and so travelers will not bother you again.